Last week, I was so honored to co-host the "Sunshine Party" San Diego Poshmark Party at the W Hotel Rooftop. 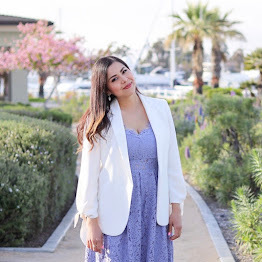 I had a great time meeting the Poshmark team in person, seeing my fellow San Diego Style Bloggers, and meeting other Poshmark users- all while enjoying the rooftop ambiance with a glass of wine. The time flew by as I did what I do best, mingle and pose! Many thanks for everyone who came out, especially to the Poshmark team for visiting San Diego and organizing this wonderful event. Here is what I wore and see all the fun pictures below of us in front of the famous Poshmark Party silver wall! About the Outfit: Beyonce for H&M Skirt, Charlotte Russe Necklace (sold out- similar), Top, Forever 21 Shoes (sold out- similar), Tory Burch Purse. Pictures by Jessica Nava. With my two wing-girls my "primager" Erika and my boyfriend's sister (& great photographer) Jessica. Being silly with the cohosts!! Thank you everyone for coming!! gorgeous skirt! looks like so much fun! love the black shirt! xO! you look gorgeous dear! bright red looks great on your lips! Fun party. Congrats on getting the honor. Your water-colored pencil skirt looks great on you. Hugs you in all the right places. Hope you are enjoying your Monday. 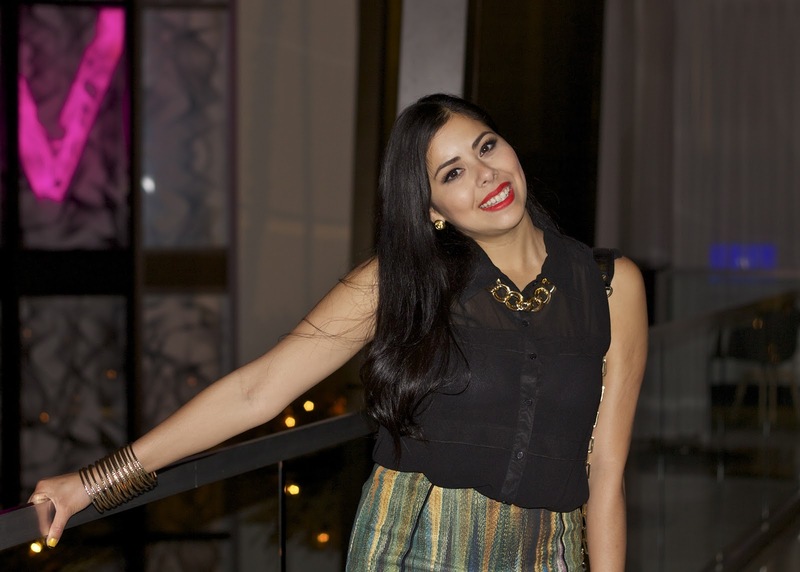 Looks like the party was a total blast, and you in that fun printed skirt looked gorgeous Pau! ur skirt is so freakin cool!!!! It looks like it was a bunch of fun! The skirt is gorgeous, and your outfit looks great. I think i need to stop by H&M and look at the beyonce collection because it looks like they have some great pieces. Oh fun!!! Sometimes I look at your event pictures and I feel like for a second I'm still in SD haha... it's kinda weird! Anyway, I miss drinking & photo-taking with you! ;) You look so gorgeous in these photos and I love your shoes!! You look beautiful as always... Stunning outfit, head to toe. And the party was a lot of fun! Great pics and great look! That skirt looks so amazing on you! The print is fantastic. Very pretty look, love your combination, great job! And the pics looks awesome! What do you think about following each other? Also on bloglovin and facebook …just let me know If you follow me, I follow you back. Kisses, have a nice day!